Another funyear of exciting track action awaits for 2016. MVP Track Time (www.MVPTrackTime.com)is pleased to announce our 2016 track event schedule. I hope you’ll joinus for the on-track fun. 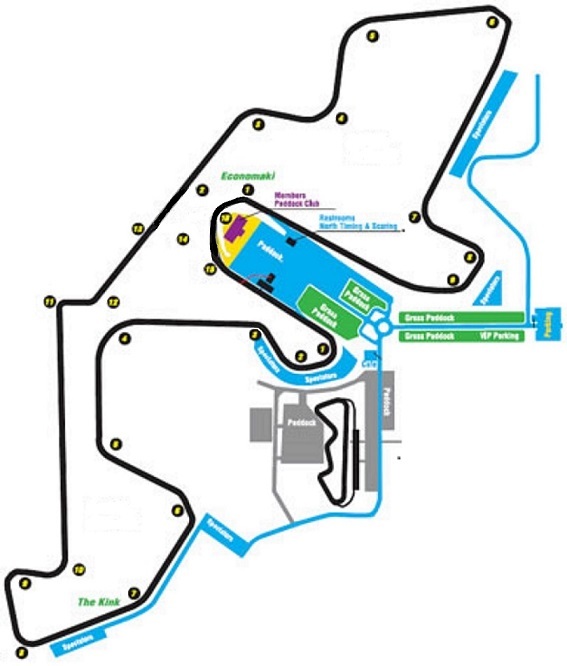 As usual,we have exciting track events for 2016, including Circuit of The Americas(COTA), Road America, NCM Motorsports Park and Road Atlanta. For a change of pace, we’ve added a third dayat Road Atlanta in June and Road America in July as Challenge Club Racing (www.challengeclubracing.com)joins MVP with two weekend races. Visitour web site for schedule updates as 2016 progresses. MVP’sgoal remains the same since we began in 2006, offering you more actual tracktime at each event for less money. Our three run group format (Novice,Intermediate and Advanced) offers you maximum driving time (generally 2+ hoursof scheduled daily track time) instead of standing around the paddock. Join usin 2016 for the on-track fun with MVP Track Time. All courteous, considerate,safe drivers are invited and welcome. Please, don’t hesitate to contactme if you have questions. A grand old time at Road Atlanta. Last edited by Feffman; 07-15-2016 at 04:10 AM. Our August 8th Autobahn Country Club track event is already1/2 full. I hope you will join us forthe on-track fun. Of course we are onthe full 3.56 Autobahn mile road course. Feel free to call me at (314) 249-3770 or [email protected] if you have any questions. Happy Motoring!